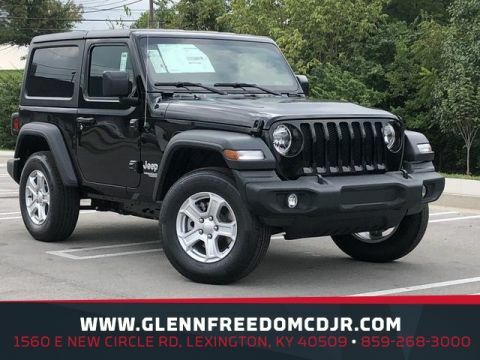 *15 MINUTE TRADE APPRAISAL**THREE DAY EXCHANGE POLICY** AWD / 4x4 / FOUR WHEEL DRIVE, BLUETOOTH, CRUISE CONTROL, STEERING WHEEL AUDIO CONTROLS, USB PORTS, CLEAN CARFAX, NON-SMOKER, Bluetooth, Power Locks, Power Windows, Alloy Wheels, 5-Speed Automatic, 4WD, Red Clearcoat, 8 Speakers, Air Conditioning, AM/FM radio, Audio Jack Input for Mobile Devices, Brake assist, CD player, Connectivity Group, Electronic Stability Control, Max Tow Package, Normal Duty Suspension, Power steering, Quick Order Package 24S Sport S, Radio: 130, Steering wheel mounted audio controls, Sunrider Soft Top, Traction control. CARFAX One-Owner. Clean CARFAX. 4WD 3.6L V6 24V VVT Odometer is 1205 miles below market average! 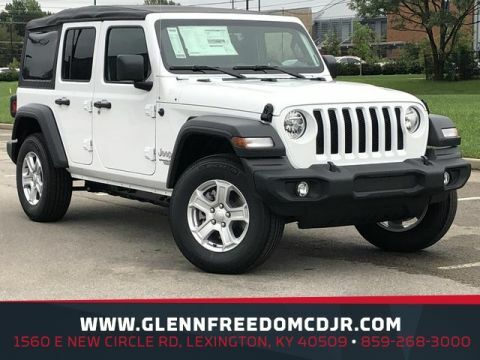 Excellent selection of New and Used Vehicles at Glenn Freedom . 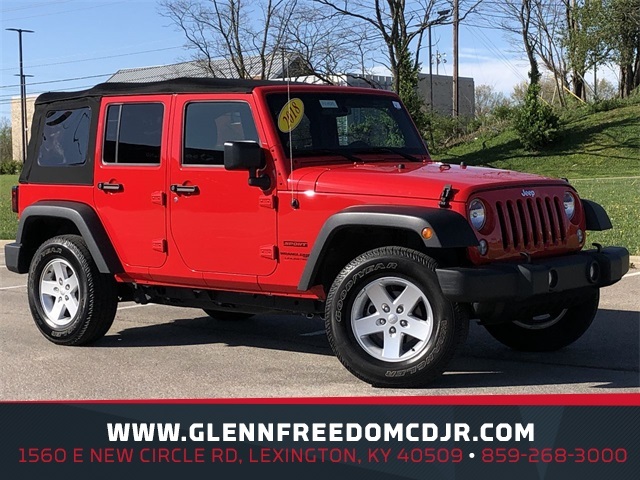 CDJR Financing Options, Lexington, Louisville, Nicholasville, Cincinnati, Richmond, Winchester, Florence, Paris, Versailles, Nashville, Georgetown, Danville, London, Bowling Green, Lawrenceburg, Harrodsburg, Frankfort, Ashland, Pikeville, Prestonsburg, Mt. Vernon, Mt Sterling, Hazard, Fayette County, Jefferson County, Woodford County, Anderson County, Scott County, Jessamine County, Bourbon County, Madison County, Clark County, Laurel County, Franklin County, Pike County, Kentucky. Used. Pre-owned. New. 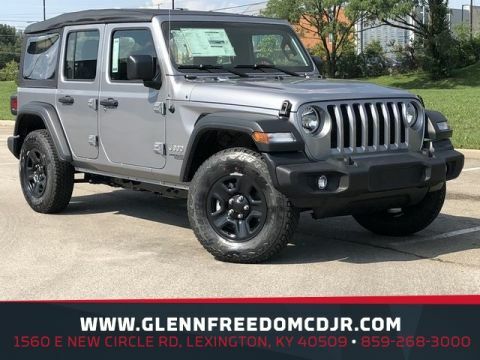 Call 859-268-3000.